Imaginary Mothers is a feature-length documentary (currently in the final stages of post-production) about four mothers from Costa Rica: Crescencia Maria Castro Chaves, Helen Xiomara Barrantes Mora, Xinia Sancho Viquez and Doris Benavides Morales. These women’s lives have been forever changed by adoption. They bravely reveal the heart-breaking impact that losing their children has had on their lives. As they fight to be reconnected with their children, they also struggle against the painful stereotypes about young mothers in Latin America. 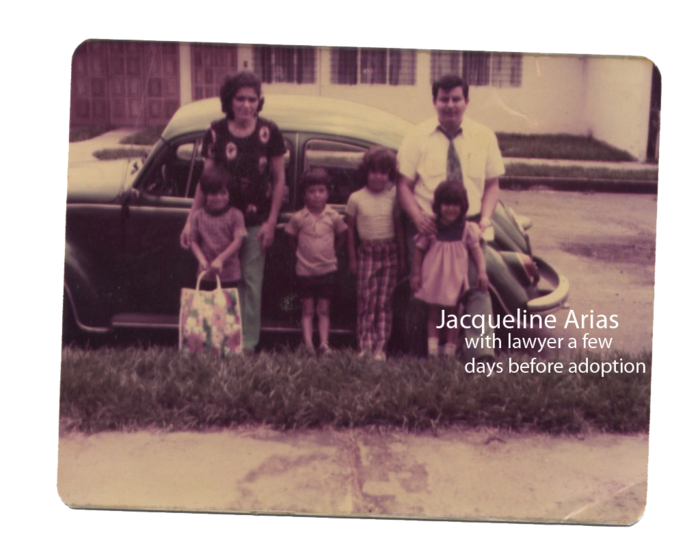 The director of Imaginary Mothers, Jacqueline Arias, is an adoptee from Costa Rica. She tells the story of her mother, Angela Arias, who never gave up hope to see her again. In making this film, Jacqueline learns about her Costa Rican family’s grief over her disappearance and their longing to find out the true story of her adoption. As Jacqueline learns about her own story, she seeks out the stories of other mothers, like hers, who have lost their children. The mothers in this film speak out for recognition for the wrongs committed against them and their children. This is the first time these women tell their story and, in doing so, they reveal a universal truth about the need for redemption and validation for mothers combatting poverty and lack of social support. Together, these women find a voice in the film to tell their stories and demand social and political change. Through the telling of this personal story, this film brings to light the circumstances surrounding international adoption in Latin America during the 1980’s and 1990’s, and the many warning signs that were ignored about corruption in international adoption. This film is dedicated to women all over the world who have lost their children through forced adoption. I was a legal adoptee in the US but there have been so many shady dealings and bought/stolen children all over the globe – it is indeed heartbreaking. I’ve never found my then-14 year-old birth mother but wonder every now and then what life held for her.